BM Stairlifts supply and fit a reconditioned stairlifts. We ensure that all our reconditioned stairlifts, meet our strict standards and to that effect we provide a comprehensive 12 month guarantee. We also undertake various quality checks and adhere to related technical specifications for all of our reconditioned stairlifts. For your peace of mind all our reconditioned stairlifts come with a unique serial number which verifies the stairlifts full history. With straight reconditioned stairlifts the entire assembly is pre-owned, including the seat, drive unit and rail. However, with curved reconditioned stairlifts the rail must be customised and bespoke to your stair case, and is not pre-owned. 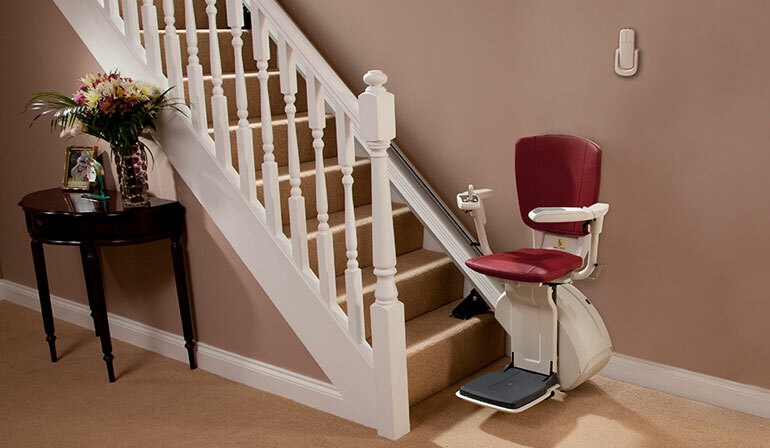 The stairlift rail is brand new, however the seat and power unit is pre-owned. Considering buying a second-hand stairlift from a private seller? We recommend you read this Second Hand Stairlift Guide which will help you make an informed decision. We can provide you with a free site survey and quotation, give you a number of options that suits your needs and your budget. Stairlift Rental - Can You Hire a Stairlift? If you only require a stairlift for a short period of time, then renting a stairlift may be of benefit to you. Please visit our Stairlift Rental page for further details.